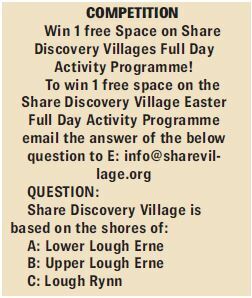 HomeSponsored ContentSHARE Discovery Village offers at Easter. SHARE Discovery Village offers at Easter. 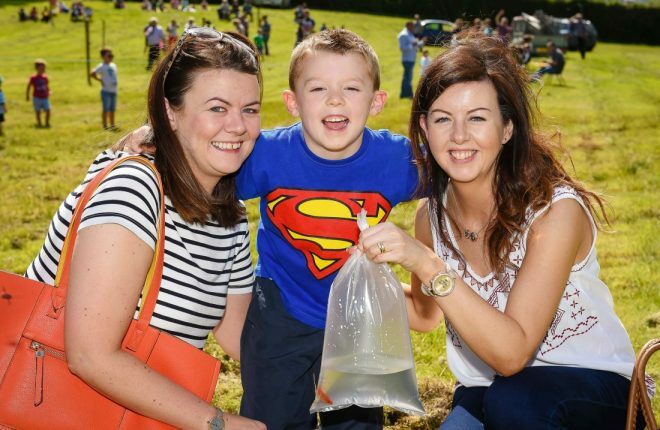 SHARE DISCOVERY VILLAGE is the place to bring your family and friends for fun this Easter. 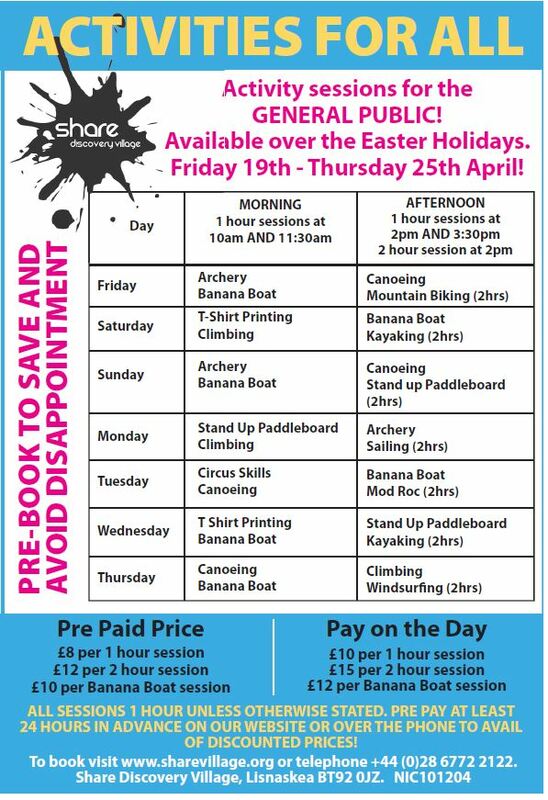 SHARE is running a series of events and activities throughout the Easter Holidays, with something suitable for everyone! Easter Activity Days – this is a new and very exciting product. 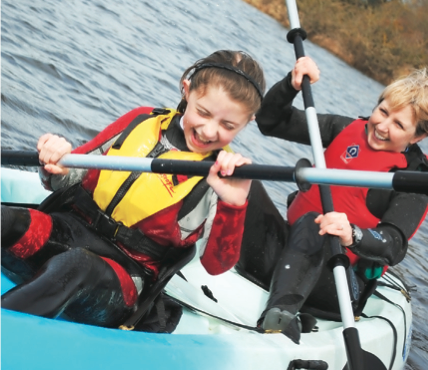 SHARE is offering a series Full Activity Day Programmes for Kids aged 6 + this is very similar to SHARE’S very popular Multi Activity Summer Scheme, with a range of different activities being offered daily. Single days can be booked to fit in around your holiday plans. The price starts at £25 a day with a discount for multiple bookings. Dates of the Easter Activity Days are: Wednesday 17th April, Thursday 18th April, Tuesday 23rd April, Wednesday 24th April, Thursday 25th April & Friday 26th April. Easter Activities For All – will run from Friday 19th April to Thursday 25th April. The activity time table is made up of 1 hour & 2 hour activity sessions offered in the morning & afternoon. Prices from £8 if pre booked. Easter Monday Public Cruise – On Easter Monday the Inishcruiser will run its first Public Cruise of the season, departing SHARE at 2.30pm. The 1 hour cruise on Upper Lough Erne will go as far as Crom Castle and back. Tickets are from £8 per person if pre booked online. 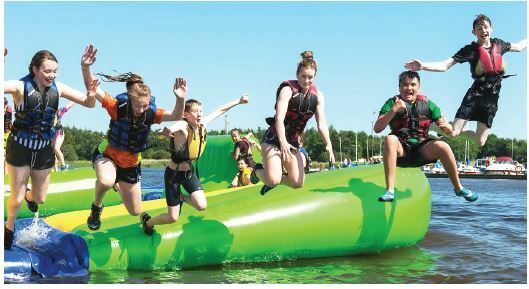 Water Park – New to the centre last year with new additional pieces this year.